Today, I’m going to review the Fab Bag for the month of June 2015. I rcvd this on 25th June, which is very late in the month and that’s one grouse I’ve always had with the Team.. Delayed Deliveries!! Anyway, let’s take a look at the goodies and see if they’re as exciting as the rest of the months. 1. 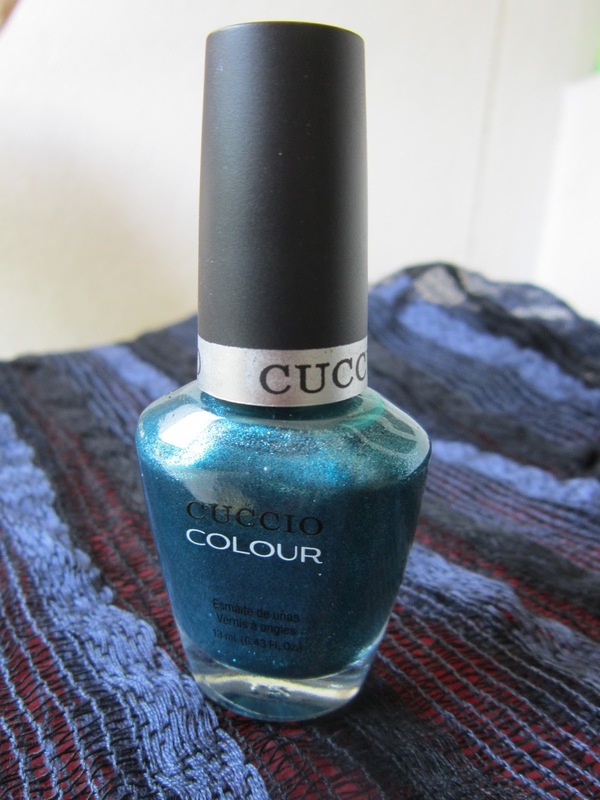 Cuccio Nail Colour in the shade Fountain of Versailles – A unique deep metallic teal shade that can adds a punch to those evenings out! But it's really beautiful & you can easily rock this during the day as well. I'm very happy to experiment with it, because it’s not something I’d normally pick up for myself. 2. Cuccio Naturale Hydrating Butter (Pomegranate & Fig) – This lil sample is ‘heaven in a tube’! I’d jump up and buy the full-size product for myself, if it weren’t for its price (Rs.2970/- for 240gm). I currently use this every day after I cleanse my face. It leaves the skin feeling soft and smooth, without the oiliness. It’s a welcome change from my normal moisturizer. 3. 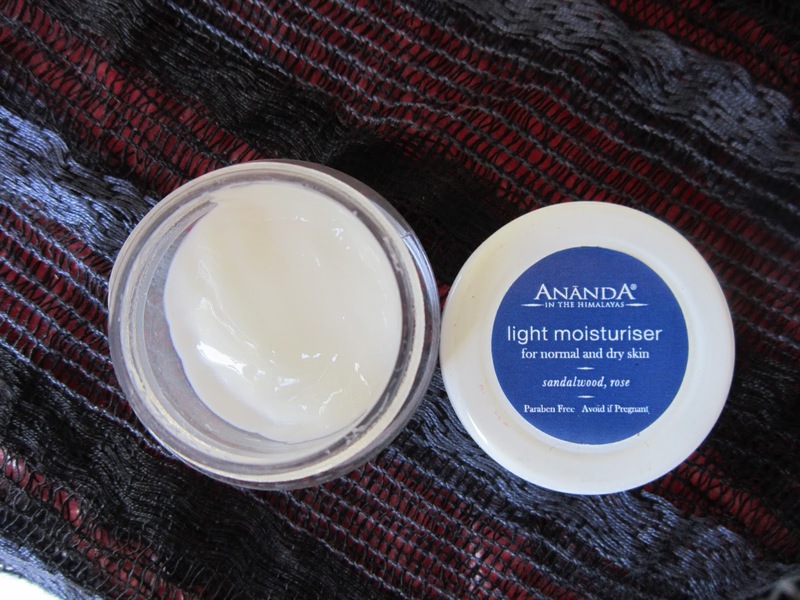 Ananda in the Himalayas Light Moisturiser with Sandalwood & Rose – I know this product is being loved by one & all, but for me, this one doesn’t work. 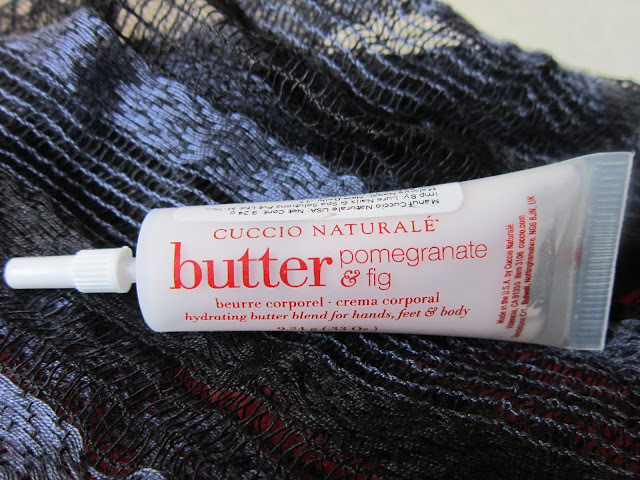 The cream is meant for dry skin & tends to leave my combination skin, all oily and sticky. Not a fan of this one! Team Fabbag, wish you had read my preferences well, before adding this to my bag :-( Smells nice though, true to its name, of Sandalwood and Roses. I tried it twice on the face and didn’t like it, now planning to use this on elbows and knees, maybe I’d make my peace with this product. 4. 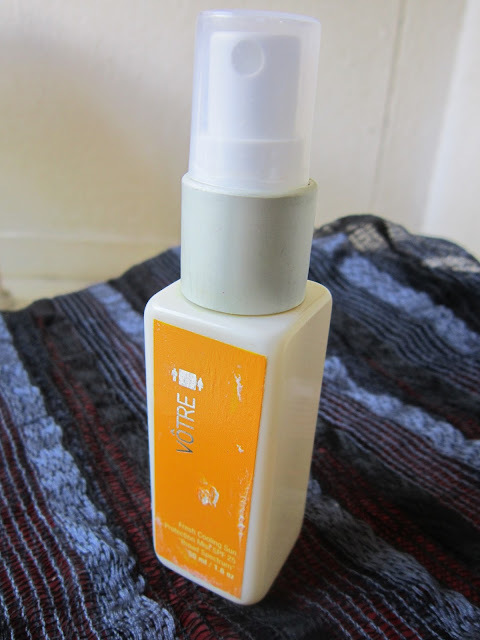 Votre Fresh Cooling Sun Protection Mist with SPF 25 **Broad Spectrum** - I’m on the fence about this spray. 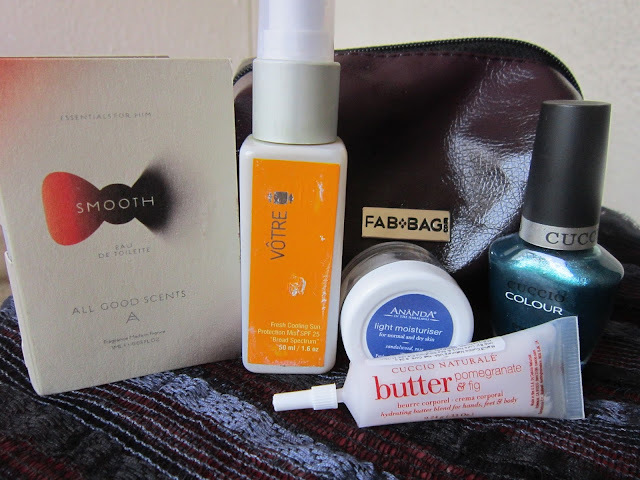 I have used this many a times since I received it in the Fab Bag, but I can't tell if its working on not. Also, my silly mind keeps telling me, it’s a spray! What if it doesn’t cover certain areas of your face? Use a Sunscreen, a cream instead!! So I’m still experimenting with this one & I’m kinda sure I won't repurchase it. P.S. - Neutrogena Lovers, there’s a lot of lovely things being said about the Spray-on Sunscreen :-) Plz tell me how you like it, so I can give that one a try sometime! 5. 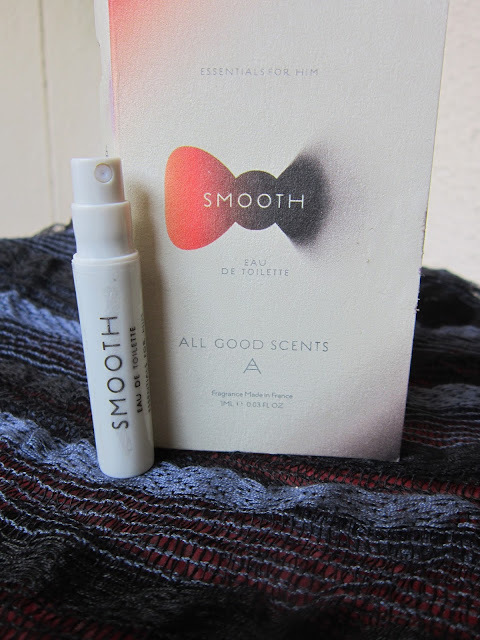 Perfume Sample by All Good Scents (Fragrance – Smooth) – Bonus product for Father’s Day - I have loved Brute…yes Brute, the "Manly Man’s perfume" from the 80's, ever since I was a lil kid. Dad used to wear Brute & the fragrance always made me miss him, whenever he was away from home, on work. Maybe that’s why I have always liked Men’s fragrances. I liked this one too…it’s strong enough to last for a while, but not like the ones that are so overpowering, they makes you cringe in disgust..lol..! !